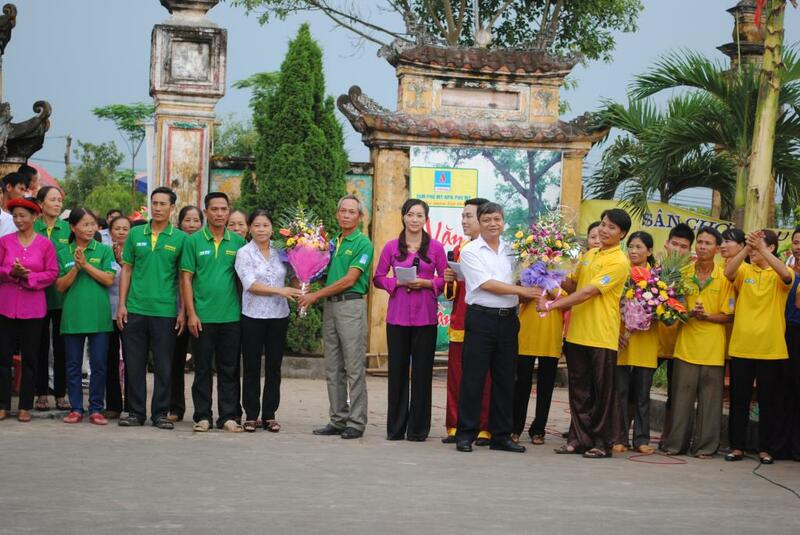 The game show “cultural village” was performed by Thai Binh Television collaboration with Corporation of Fertilizer and Chemicals Petroleum at Phạm Đôn Lễ temple (also known as Quan Trạng temple) in Tan le commune, Hung Ha District, Thai Binh Province. 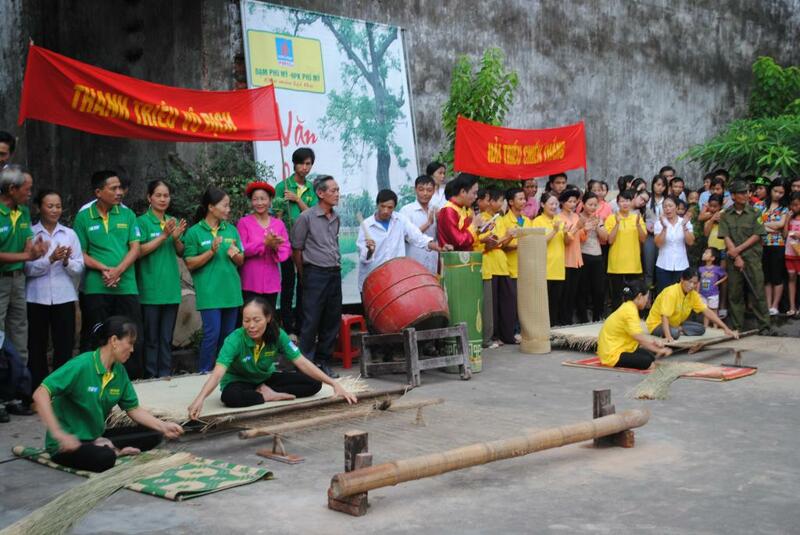 Next to game show: Weaving mat mutual: “Hới Mat” known as the capital of the mats which are famous in Viet Nam. So people often said that: “Ăn cơm hom, nằm giường hòm, đắp chiếu Hới”. Nowadays, with Open Market Operations, although the Hới mats have to compete with other ones, it is still alive in the mind of each person. 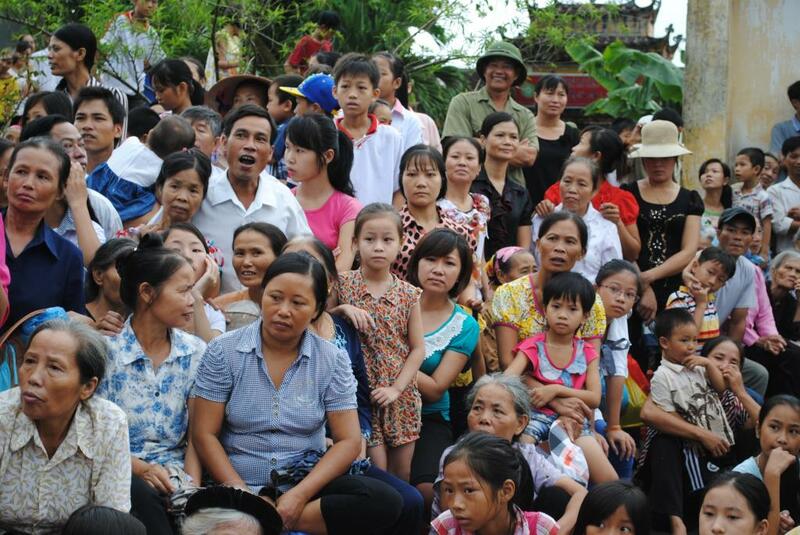 Moreover, thanks to the dynamic development of the village. It is enriching for many households here. 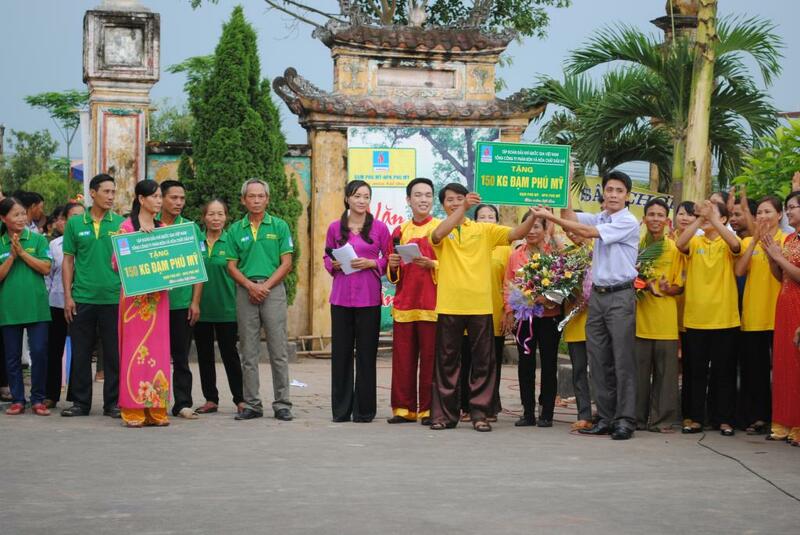 To commemorate Phạm Đôn Lễ who improved the mat’s techniques and developed it at Hải Hồ village. Yearly, on 6th January. 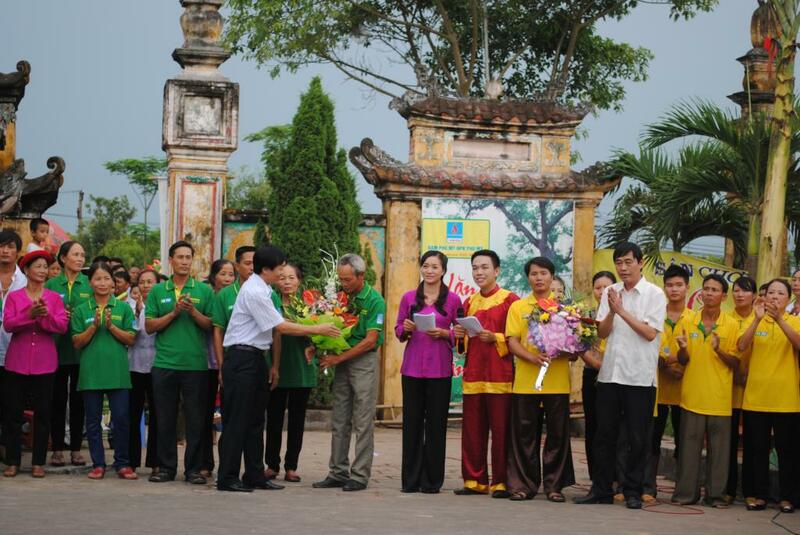 Hải Chiều village opens a game “Hội chiếu”. 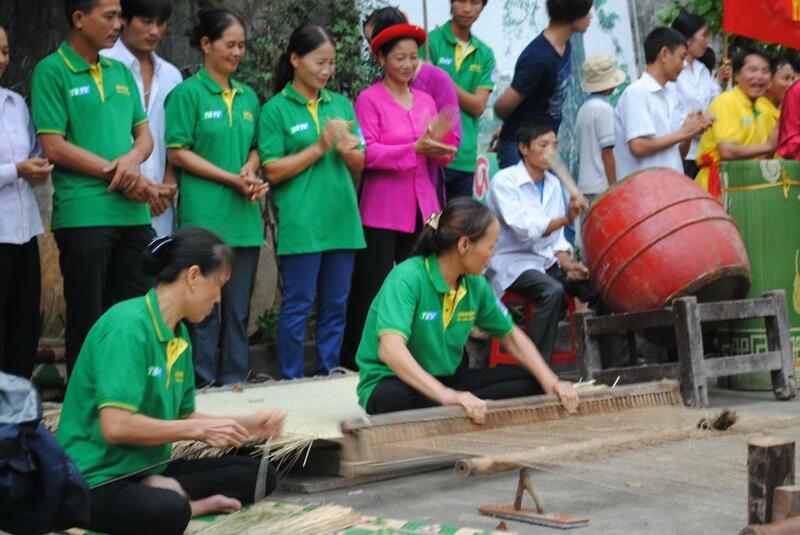 People in the village can take to weave the mats by hands together. 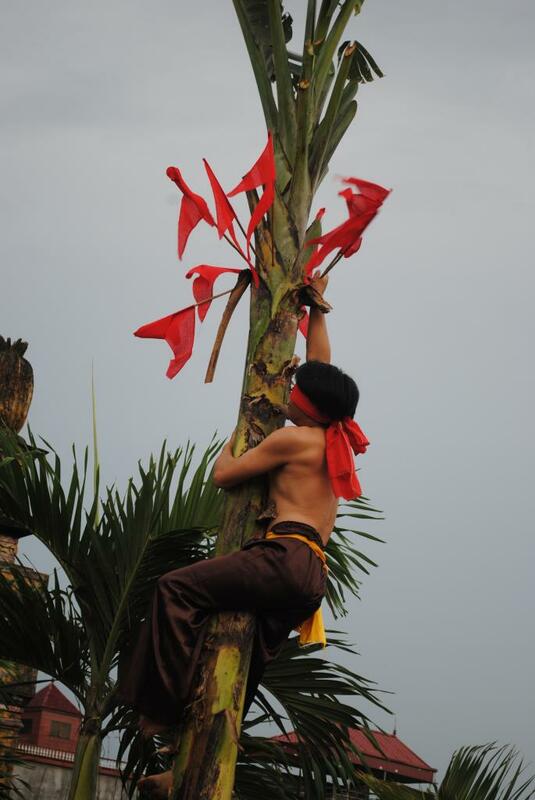 Climbing the banana tree is one of the popular traditional games here, people often held on festive occasions. Climbing the banana tree is very hard, so it is good for our health and patience that need to the ingenuity of the players. 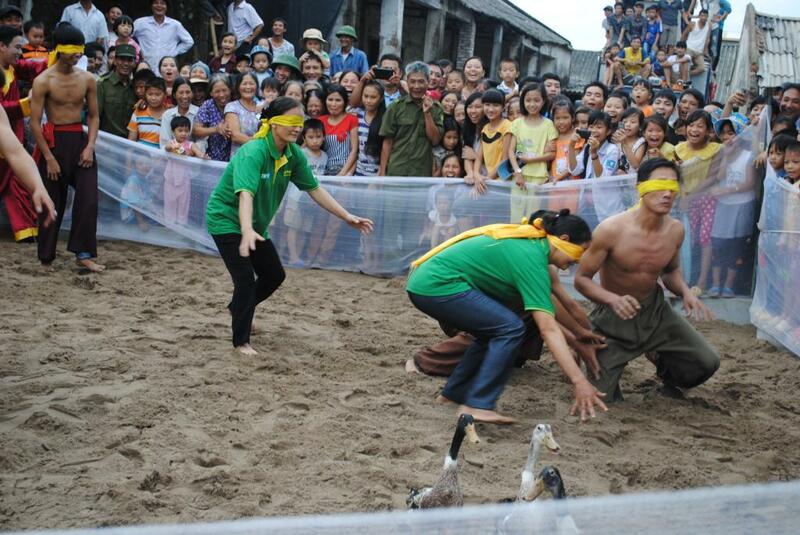 Blindfolders catching the ducks is an extremely popular game in the countryside of Viet Nam. 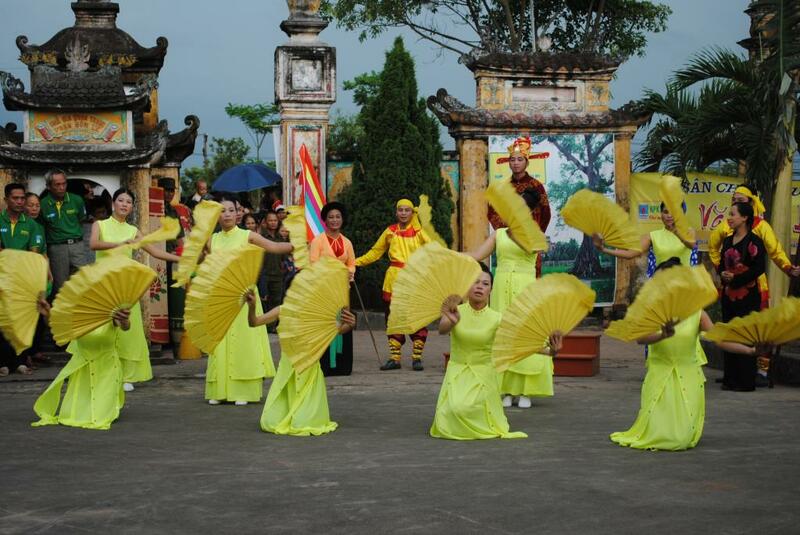 The game was reshowed in the cultural village no.8 that performed by Thai Binh television collaboration with the Corporation Fertilizers and Chemicals Petroleum. Here are 2 videos that show you some scenes about this, I’m sorry for low quality, My phone did not support HD that time. 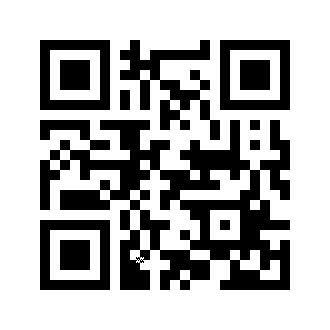 Videos recorded by Huynh ICT. One glass of milk – Very Emotional Heart Touching Bảng danh sách lớp Đại học Tiếng Anh 1 khóa 9 ĐH Công Nghiệp HN.